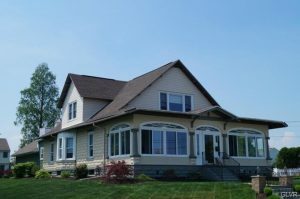 Tired of the big house, big yard and big bills? Here’s an idea that may be just what you need , that is if zoning allows you to do it! As a manufacturer of mini-kitchens that can blend into any small room decor, I’ve been intrigued by the idea of creating smaller, multi-task living spaces for a long time. For people who don’t need the large multi bedroom home to accommodate the growing family, a smaller home is a great idea for many reasons. In addition to saving money due to smaller land acquisition and property tax costs, they can also save money and resources due to smaller material, labor and utility costs as well, all very ‘Green’ concepts. And because smaller homes can’t accommodate a lot of storage, the temptation to buy the latest and greatest ‘stuff’ can be alleviated, allowing the homeowner to actually invest their money or use it for life’s other adventures. 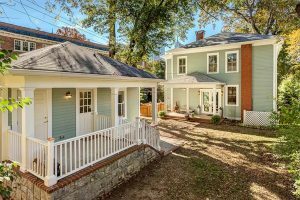 ADU’s or Accessory Dwelling Units have been in the news lately as the newest trend in small home living even though they have been around throughout history. 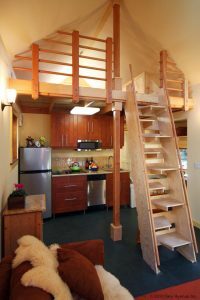 An accessory dwelling unit is a really simple take on an old idea: having a second small dwelling right on the same grounds (or attached to or within) your regular single-family house, such as: an apartment over the garage, a tiny house (on a foundation) in the backyard or a basement apartment. Historically, extended families and rental units have shared the same properties for centuries. And though the purposes of today’s ADUs are many, the two most common are still housing a family member or creating a rentable unit for extra income. 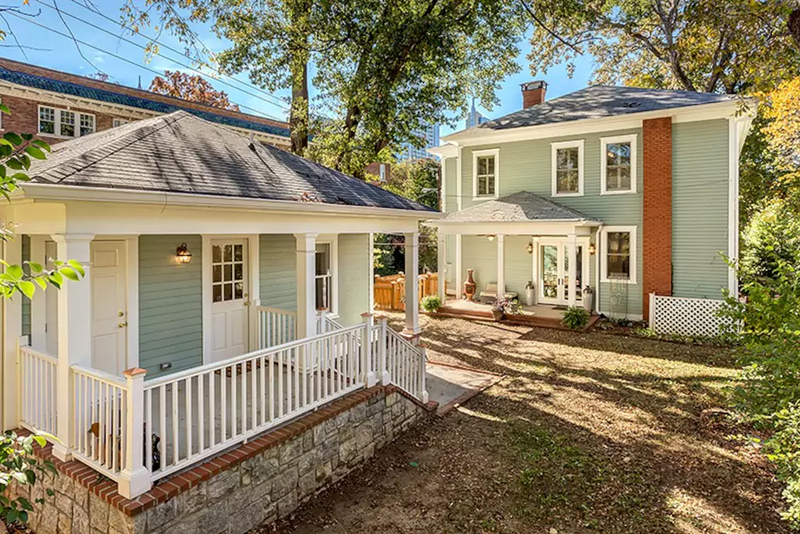 ADUs are called Granny flats, Laneway houses, in-law units, secondary dwelling units, even tiny houses. 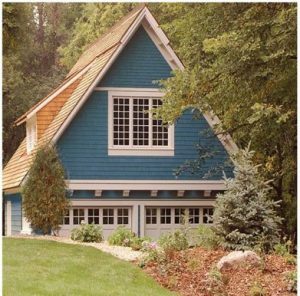 I met Ed Guion of Manheim, PA back in 1994 when I was developing a concept to build small, factory built cottages. Since about 1981, he had been on the forefront of what the government called Echo housing with his Elder Cottage concept. By 1989, he had built several of these ultra small living units that could be placed almost anywhere. When I met him, his most pressing problem was outdated zoning that would not allow any other units to be built on single family properties. Some places only allowed them as temporary solutions for ailing family members, so Ed had built some of the units on wheels, an idea that has endured with today’s Tiny House movement. But in fact, because he was so discouraged about the zoning, I gave up the idea of building the tiny homes and started working on YesterTec concepts instead. And to date, outdated zoning ordinances that don’t allow ADUs are still a problem in most areas of the US. But that is not the case in Portland, Oregon, Seattle, Washington and a few other metropolitan areas in the USA and Canada. Spawned from super high land costs due to the limited availability of buildable lots, zoning ADUs has become necessary to fill the need for lower and median income dwelling units. Kol Peterson, Eli Spevak and Martin Brown, all of Portland, founded www. 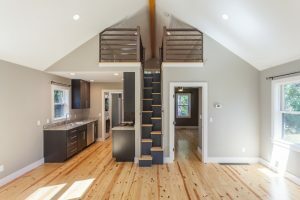 accessorydwellings.org, the best source of information about ADUs that I’ve found so far. There is great advice on the subject and many examples of very successful applications from around the country on this informative website. Start with this article. In 2017, YesterTec and my family moved into a 100+ year old home that incorporates an ADU right into its floor plan. Our first floor has the master bedroom, my office, a showroom for YesterTec and everything else we need for everyday life. Our autonomous second floor has 3 bedrooms, one of which has been converted to a living area for our out of town guests and this summer, it is headquarters for my daughter’s family from Miami. We are adding a mini-kitchen soon to the upper living area. Fortunately, we live in an older, gridded community that allows small business ventures to occupy primary residences. For many suburban McMansions that have first floor master bedrooms, the above arrangement usually requires no zoning change. But many jurisdictions may disallow or at least require a variance for a second family to live permanently on site, even if no renovations are required. 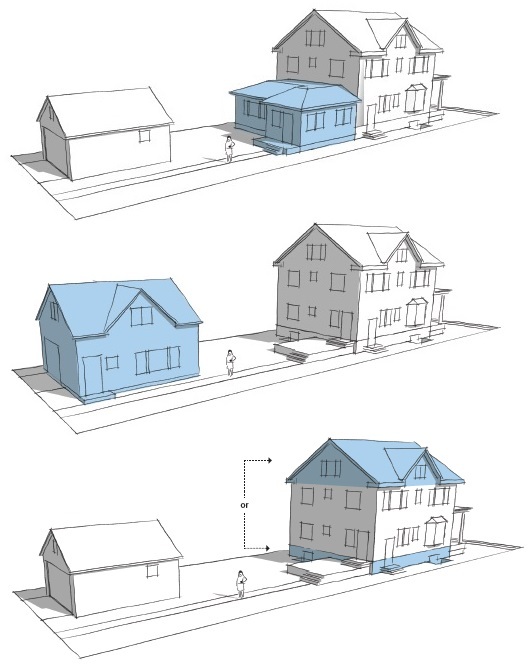 ADU zoning typically allows all of these scenarios to exist without any special exceptions. ADU zoning is really a simple way to help fix the wasteful planning of post WWII developments that produced the suburban sprawl that has become so unsustainable. A recent example of what can be done with broad stroke municipal action was taken by the California legislature effective January 1, 2017. They considered ADU’s a viable and necessary step to easing their lack of affordable housing crisis. 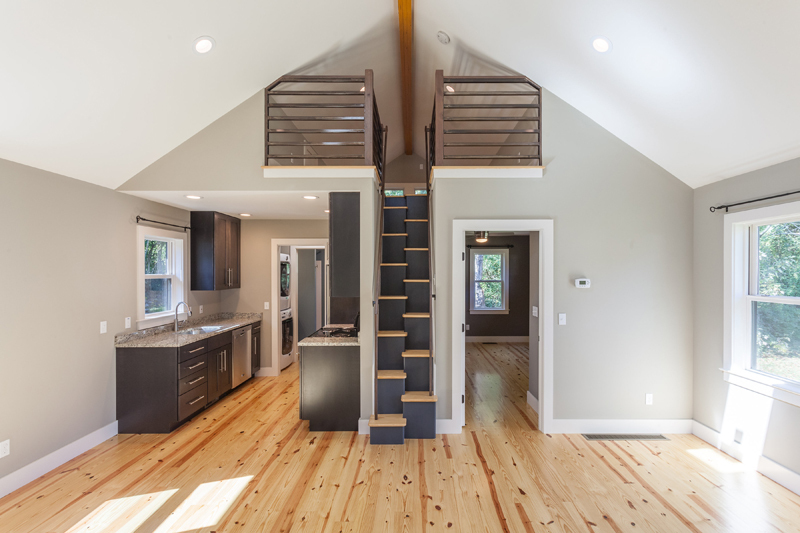 This article explains how ADU’s in California can be legal as an internal renovation, an add-on to an existing home or a separate structure (all not to exceed 1200 sq. ft.), all in residential single family home zones. 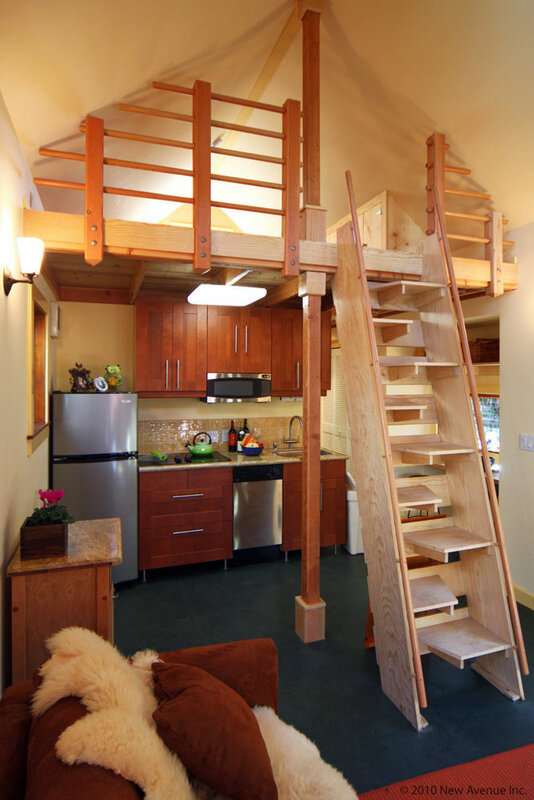 ADUs make a lot of sense. For landlocked municipalities that want to increase the tax base, allowing ADUs creates additional revenues in taxes, utility and services IF the existing infrastructures can handle the additional population. Most can. For developers, especially those that want to build the more expensive but ever so livable Traditional Neighborhoods, ADU zoning adds value to the sale of every property, usually without requiring larger lot sizes. But most of all, ADUs create smaller living opportunities for many of our underserved population groups. From singles and couples to brand new families with their firstborn, the more economical ADUs fill a desperate need. But for the empty nester couples, divorcees, widowers or any mature single, the more elaborate ADU is a product that just is not currently available. So many of these people wind up buying into an over 55 community that is lacking in the population diversity that they have lived with all their lives. And in so many cases, these apartments are much bigger than their needs require. An additional call for infill housing will be coming from the future need of finding homes for the many refugees that will be displaced by the global trend of rising waters. Those from the Pacific Rim islands that are already experiencing higher water levels (and thus more devastating storms) will be driven from their homes, and we will have the opportunity to welcome them into our melting pot if we can offer viable living solutions. I have complete confidence that once America can recognize a real need, America will respond to the challenge. In my opinion, this is one of those challenges. Note: I’ve just got to mention how YesterTec’s mini-kitchens and Stealth Kitchen Modules can improve the look and function for so many of these smaller open-plan homes. What do you think?